These are some of the bikes I have occasionally taken to take to vintage shows. 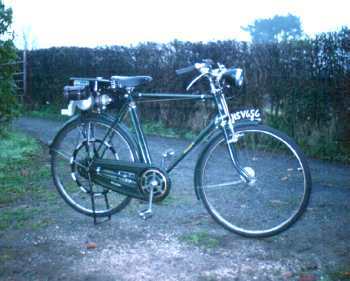 I was given this British Salmson , by an old man who had bought it new in 1951, and used it to travel all over Cheshire and occasionally as far afield as North Wales. ( About 120 mile round trip.) At the time he gave it to me , I was the owner of a 1000cc Matchless engined Morgan, and I thought I would never be seen dead on a 31cc cyclemotor ! I threw the engine under the garage bench in disgust. 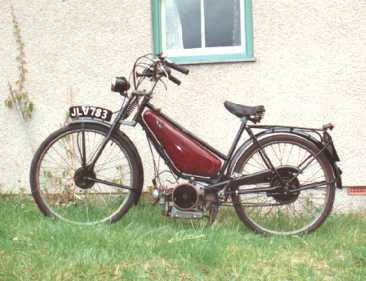 This bike has a 2 stroke engine mounted on sprung brackets, attached to the saddle tube, and drives down onto the rear wheel by a large rubber Vee belt. I have scanned and copied almost everything I have about the Cyclaid. 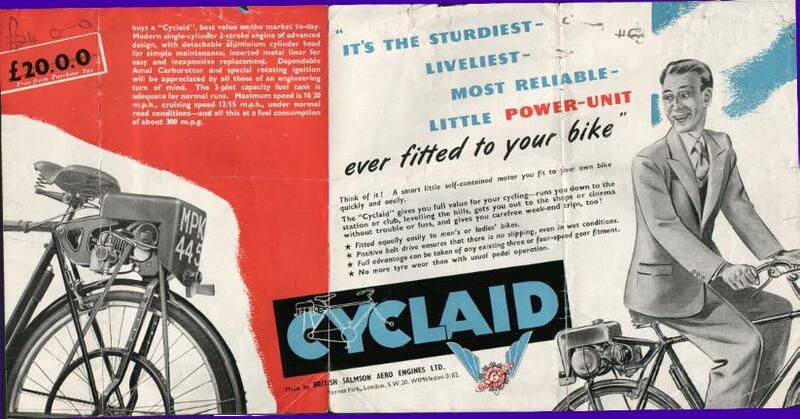 I hope these will be of some use to other Cyclaid owners. 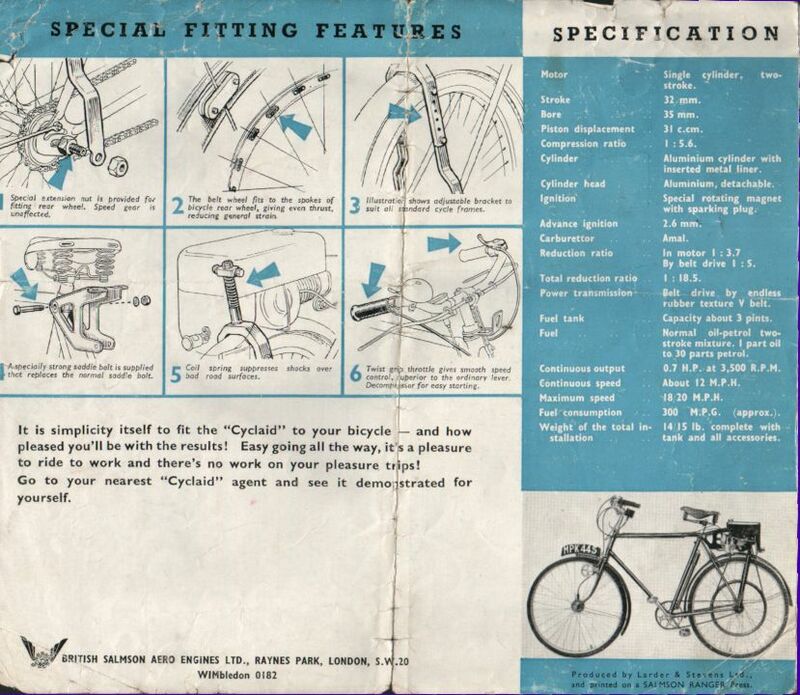 The text manuals below should recreate an acurate copy of the original pages, which can then be printed out. However, If your browser settings are very different from mine, you may have to adjust your text font/size until it fits your screen. Links not on this site The National Autocycle and Cyclemotor Club. 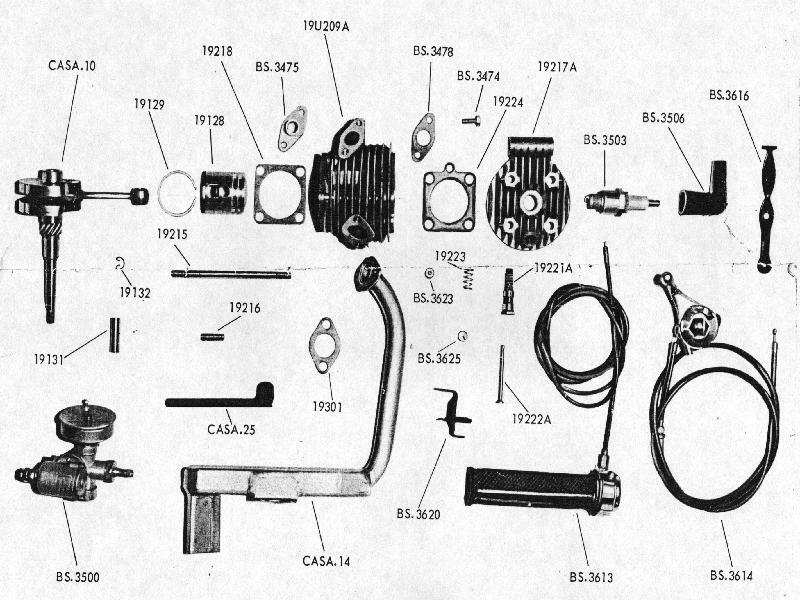 Villiers junior deluxe 98cc 2 stroke engine. 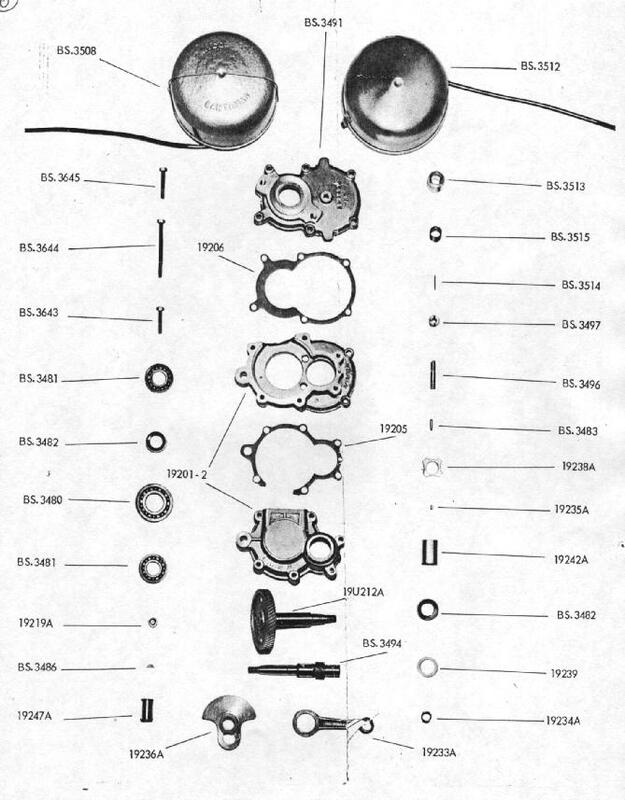 Villiers Junior De-luxe engine manual. I don't know anything about Gundles. If anyone out there knows about production dates and different models, perhaps you would be kind enough to let me know. Made during the 1950's and 60's . 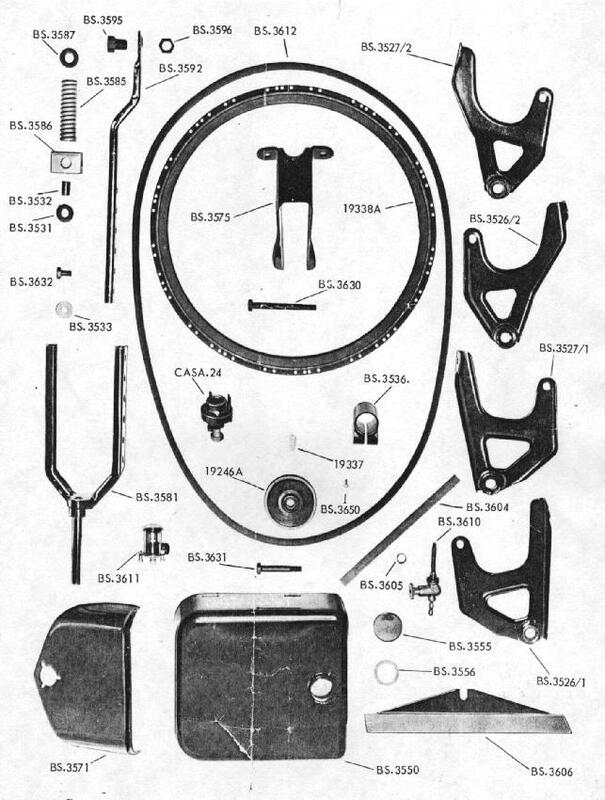 The early ones had solid rubber tyres, the later ones are pneumatic. I don't know much more about these little bikes, but my two boys learnt to ride them. And learnt how to "show off" at rallies. A simple on/off switch is mounted on the handle bar, and as one of the petty regulations I referred to before, states the switch must be of the "dead mans handle" type i.e. it switches it's self off when you let go of it. So I stretched a rubber band between this and the brake lever, to pull the switch over. It works ...unless the rubber band has fallen off ... which it usually has ! This page is powered by Notepad !